The 24? x 36? 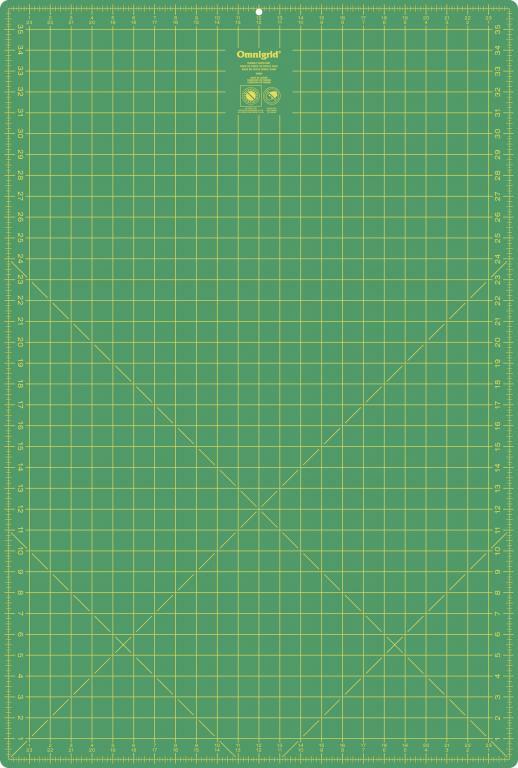 Omnigrid double-sided cutting mat is the largest double-sided cutting mat in the Omnigrid collection - its large size makes it suitable for cutting borders and bias strips; it's also convenient for measuring fabric by the yard and it can accommodate a standard folded width of 45? fabric.